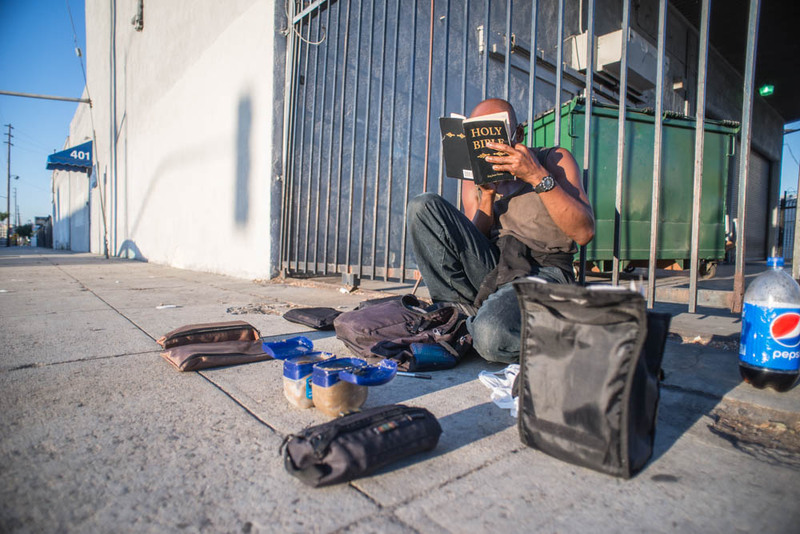 Jeffrey reading aloud from the Apocalypse, S. Central Ave., at 4th St., LA, 2014. Jeffrey came from Gary, Indiana and was in the US Navy. He believes that the Bible is in code, it tells how the body works.